JLB’s (Joy, Life, Business) brand embodies the heart and soul of American business. JLB originated over 15 years ago (www.jlbflorida.com) and is now going strong in Fort Lauderdale and Boca Raton. The brand and client value have evolved and grown into a phenomenal success. JLB is a Web Design and Digital Marketing Services Agency for Businesses which focuses on providing customers with beautiful brand and the best web designs, innovative website development, powerful digital marketing and business class website support in one central place without multiple vendors or confusion. 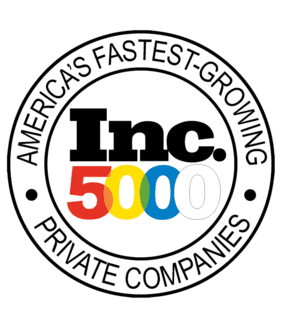 JLB was proudly voted the best web design and development, made the Inc. 5000 list, is a Google Premier Partner, is Veteran owned and offers the best SEO services available in Fort Lauderdale and Boca Raton FL. Ken Royer, JLB’s CEO. “We realized early on that businesses are truly left to figure all the online and website stuff on their own. They either need to have a lot of time, technical skills or money to position their business correctly in today’s Internet market. Small and mid-sized businesses just don’t have this kind of time or resources. If you really think about it, web design, development, domain names, email, SEO, SEM, social media, digital marketing, web support, hosting, security and so on are all different skills offered by different companies but they all really should work in sync to benefit the business and that is what JLB offers. 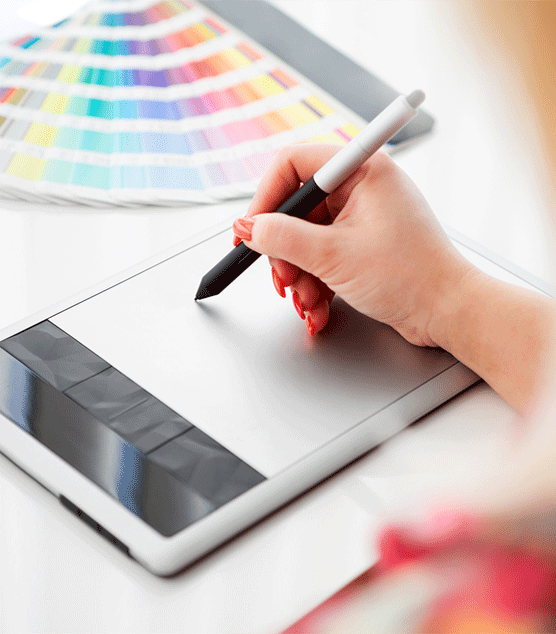 The best web design, powerful digital marketing and central support for it all”. 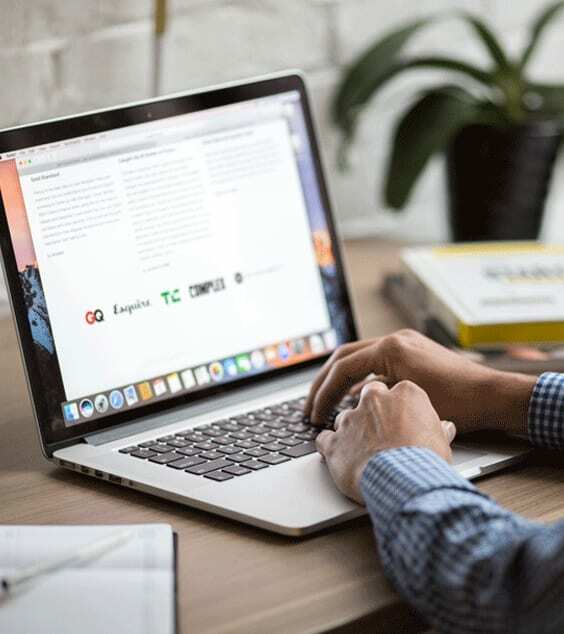 Our core value is that all key elements of a business’s website and digital marketing operations can be fully or partially managed by JLB to include business class website maintenance and support that matters and gets results. All of this centralization is key and unique to JLB. Results are unmatched, support is unmatched, you success online will be unmatched and your overall costs will be better with a solid return on investment. Its not just our opinion, its also what our clients say. 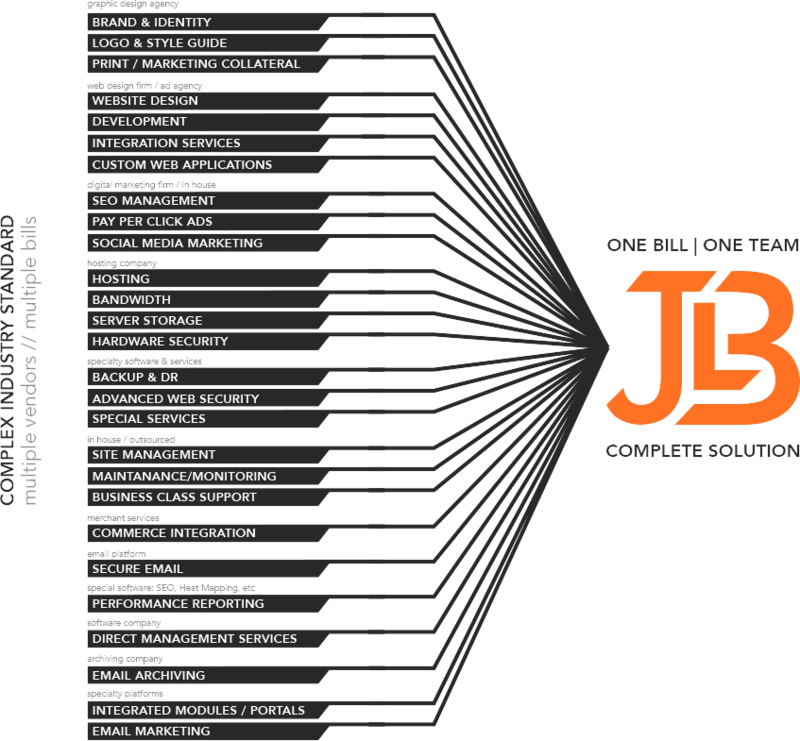 JLB has also leveraged its investments to establish a business class website infrastructure for its clients where their online solutions sit behind private firewalls, on private dedicated servers, with website security locks, platform backups and service level expectations that cannot be established with cheap shared platforms unless you spend a lot of money. All website technology, digital marketing and web support services are centralized for one call support for everything you may need. All staff, infrastructure and services are in-house (provided in the USA). JLB perfected the website software over years for security, maintenance, customization and customer scalability (WordPress, Magento, BigCommerce and more). Clients are maintained on private secured servers. There is no public shared access, hosting or typical problems. All marketing clients receive a professional report of all analytics, digital marketing and other important elements. Clients receive an exclusive monthly report of all the critical activities that occurred on our customer’s website each month. From Cyber security issues to web maintenance and updates. Project managers dedicated to your account to facilitate resources and keep you informed. Technical engineering staff to managed all of the complex hardware, cyber security, networking and overall infrastructure. Processes built for the best customer web design and success! Our client-centric talent cares about Quality! JLB Florida’s quality machine can we see by our Customers as we move step by step in our processes: Concept to support. Graphic design, Logo design & Identity creation, Copywriting, Web design & development, Search engine optimization (SEO), E-mail marketing, Social networking, Hosting, Cyber security, all technology and Web-master support services. Processes built for your success. Our Fort Lauderdale and Boca Raton team is talented and experienced. We bring the fight to each project we take on. We want our clients to succeed, and we care about being excellent — our jobs depend on it. JLB understands the significance of giving back. Even though we have offices in Deerfield Beach, FL, many of us live in the Boca Raton, Fort Lauderdale and Miami, FL area and it’s important to our staff to support local nonprofit organizations with their graphic design, Web design services, digital marketing and/or financial needs. 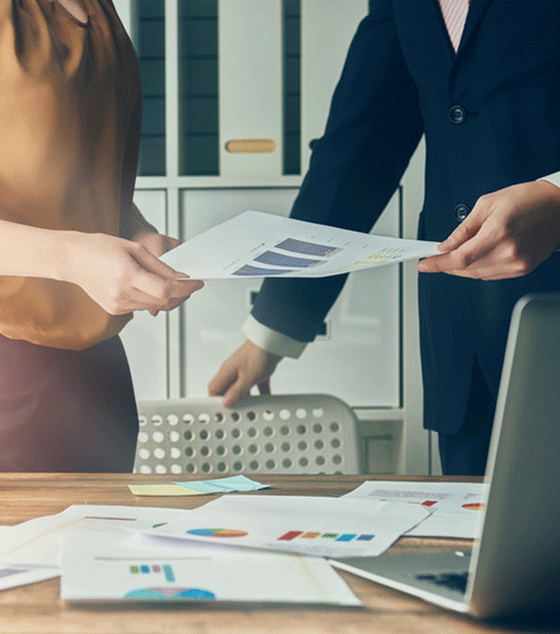 We understand that many organizations can’t afford to pay typical corporate prices, but we recognize how important it is for these groups to “get the word out.” JLB has made it a priority to help several nonprofit organizations every year.